We See Everything Clearly before we treat our patients! Our practice is very well equipped. 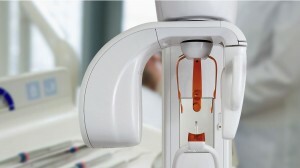 We have a state of the art digital dental imaging system capable of multiple views, including an Orthopantomogram, Lateral Cephalometric View, Frontal Cephalometric View, TMJ views, Tomograms of the maxilla and mandible (crucial when performing implant surgeries). This system is in the process of being upgraded to a Conebeam CT very soon. We also have digital intra-oral periapical and bitewing views. This will help us compose a detail and precise dental treatment plan for you when you visit our practice. No problem too small will escape detection when you have at your disposal all the necessary diagnostic equipment.